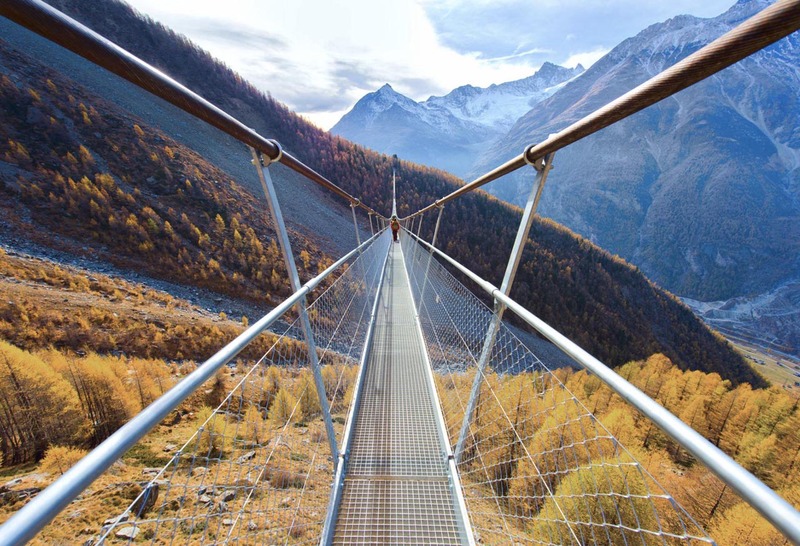 The Charles Kuonen Suspension Bridge is the longest hanging bridge for pedestrian use in the world. 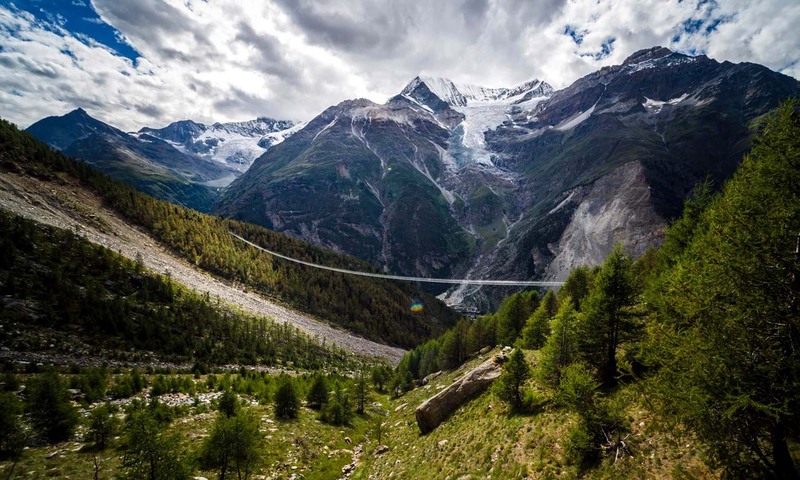 It is located in Randa, Switzerland and replaced the defunct Europabrücke, which had been damaged by a rock slide. 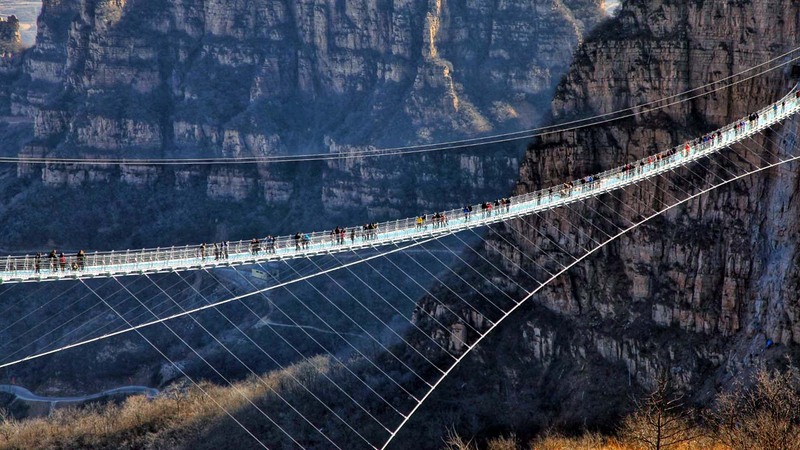 The bridge spans 494 meters, and upon its inauguration in July 2017 became the longest suspension bridge built for pedestrian travel. 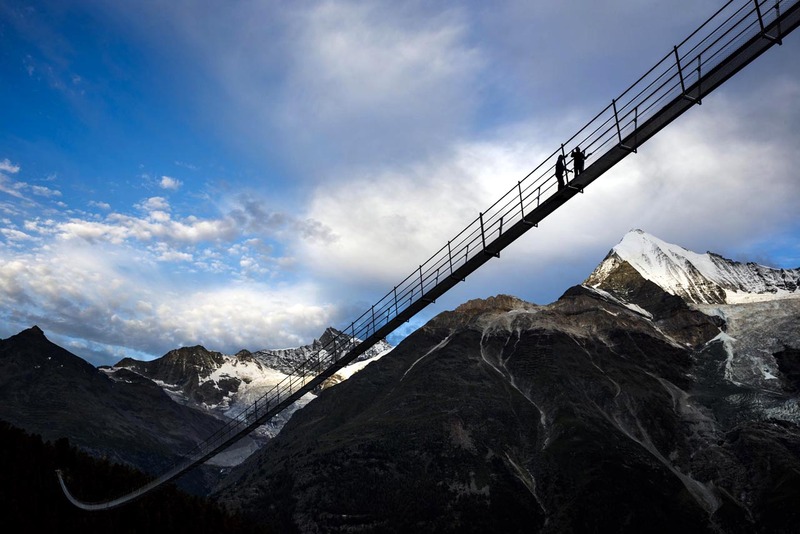 The bridge runs 85 metres above the ground at its highest point. 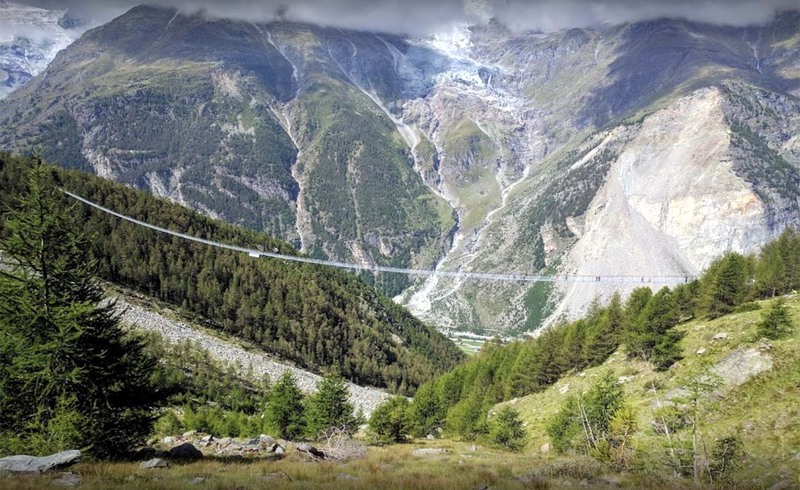 It employs 8 tonnes of cables, and has a system that prevents it from swinging. 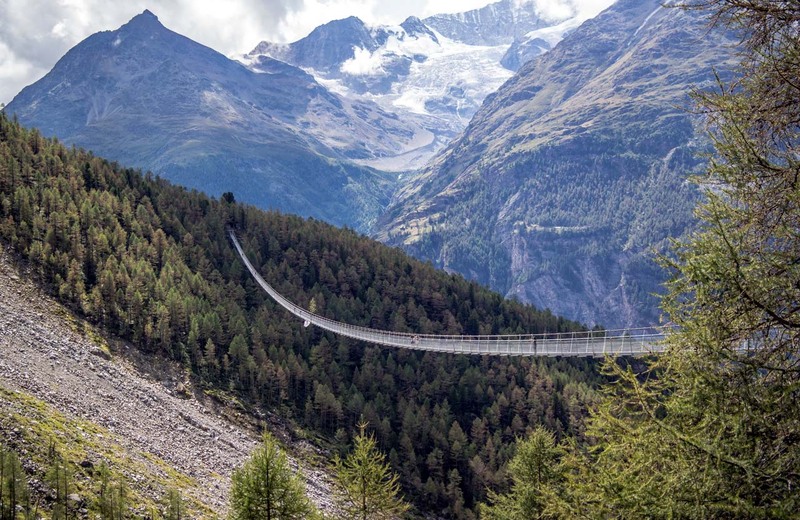 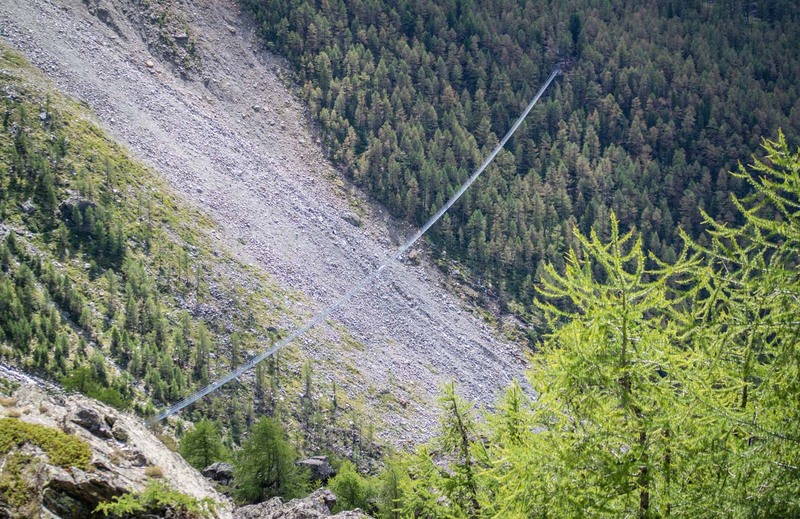 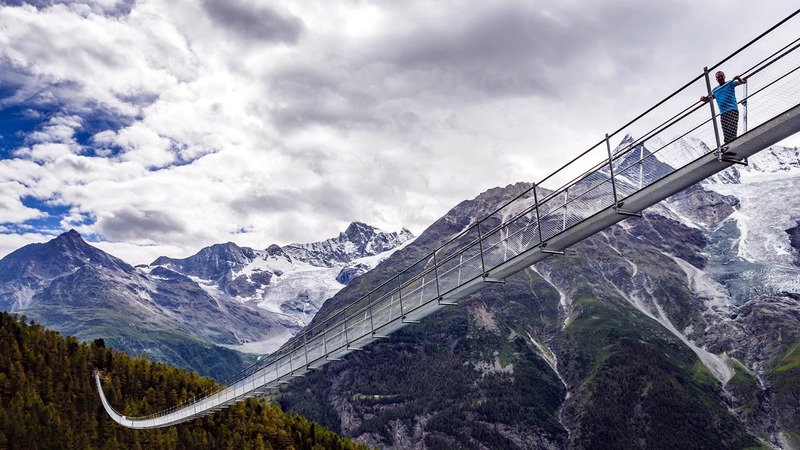 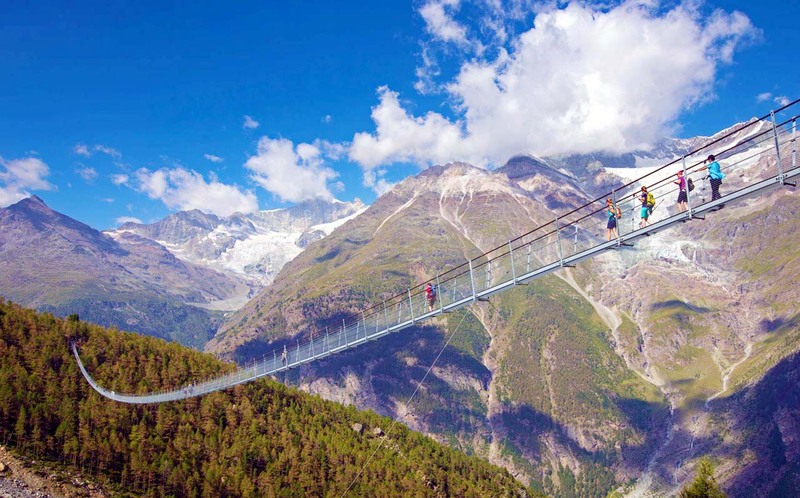 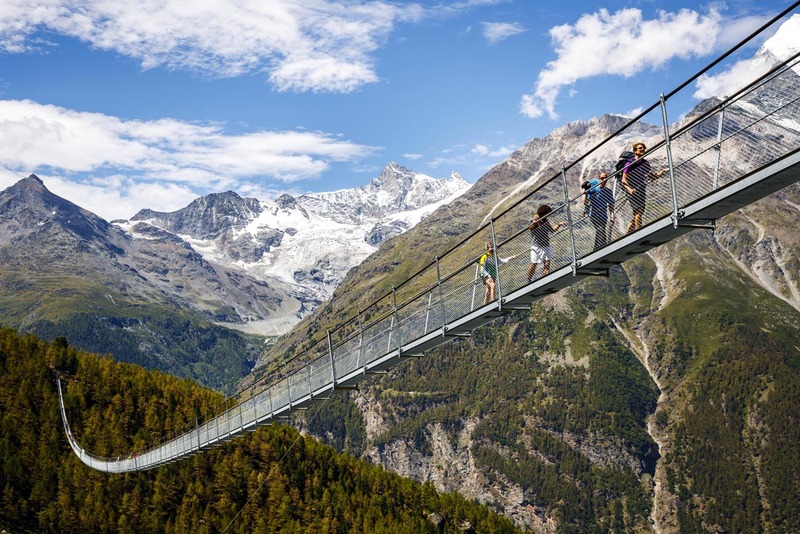 The bridge is part of Europaweg, a hiking path between the Swiss villages of Zermatt and Grächen.